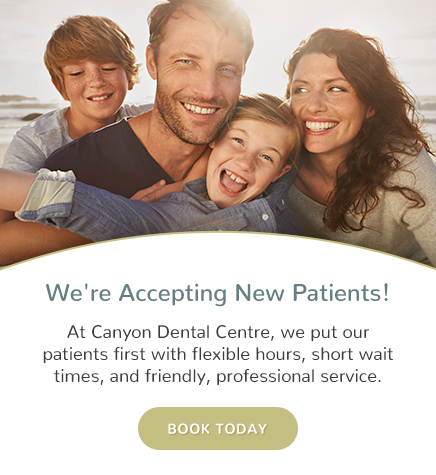 Canyon Dental Centre in North Vancouver provides dental cleanings for patients included in routine check-ups. Maintaining good oral health is your first line of defence for protecting your oral health. You cannot maintain good oral health through daily brushing and flossing alone. Regular visits to your dental office are vital for the early detection of serious dental health issues. What is done at a hygiene appointment? During your visit, our team of dental hygienists may “scale” your teeth. “Scaling” is the process of removing tartar and plaque build-up from your teeth that can cause infection in your gum tissue. We will also polish your teeth and remove any minor stains that your teeth may have. We will also advise you on proper teeth brushing techniques that will help you maintain good oral health between visits. It is our job to help you have the smile you have always dreamed of - but it is also our job to work with you to ensure that your smile stays healthy. Regular visits with Canyon Dental Centre hygienists are essential in ensuring that any potential problems are caught, and treated before they become worse.